Thank you, Carol. Big hugs back from both of us. No words. Just loving thoughts being sent your way. What a beautiful, honest and clear piece of writing. You fill my heart with the extraordinary love you share. All of this hospital stuff is so familiar to me, as you know, that it felt like an old friend I was happy to hear from again. Thank you, my heart is fuller. Thanks, Luis, yes I know you are well-steeped in that environment. It is a struggle to stay honest and not become swept up in the drama of our own lives. There is something about the hospital accoutrements that is very grounding. The regularity of the trays and the measurements of heart rate, temperature, the sharps container and the absolute dissipation of time while you are there. Thanks for following! Hi Els — it’s heartening to read of your love amidst all the challenges you and Jimmie are facing. You have a beautiful way of telling your very valuable story. Please add my virtual hug to the many you tow are receiving. Wow. Would love to see you when you come to LA! Thanks, Amy! I remember that Maine cottage. I was very young, but I definitely remember it. I remember it being very cozy and comfortable. I even remember sitting outside in the sunshine with Aunt Martha and Uncle Tim. He told the BEST stories! And, boy, was he ever funny! I loved those drives to Maine. It’s amazing the things we remember from such a young age. Els–I don’t know if you remember me but I used to work at the school of theatre. Your story is so familiar to me as my dad was at Good Samaritan for a month following a heart attack. Care was amazing! My mom spent every night at the hospital. Dad was 92 and was able to spend another year and a half with us. He, too was surrounded by love and honesty. We always kept him involved in discussions with doctors so he knew what was going on and what to expect. Much love, positive thoughts and prayers for continued strength to all of you. Of course I remember you! Thanks so much for your corroborating comments. Glad your Dad got such good care. Hope you are well! Sending you love, Els, and thinking of you both. Kelly, I watched OtherLife last night on Netflix after Jimmie went to bed. It was amazing and I thank you so much for your kind thoughts. Now we’ll have to watch it again, together! 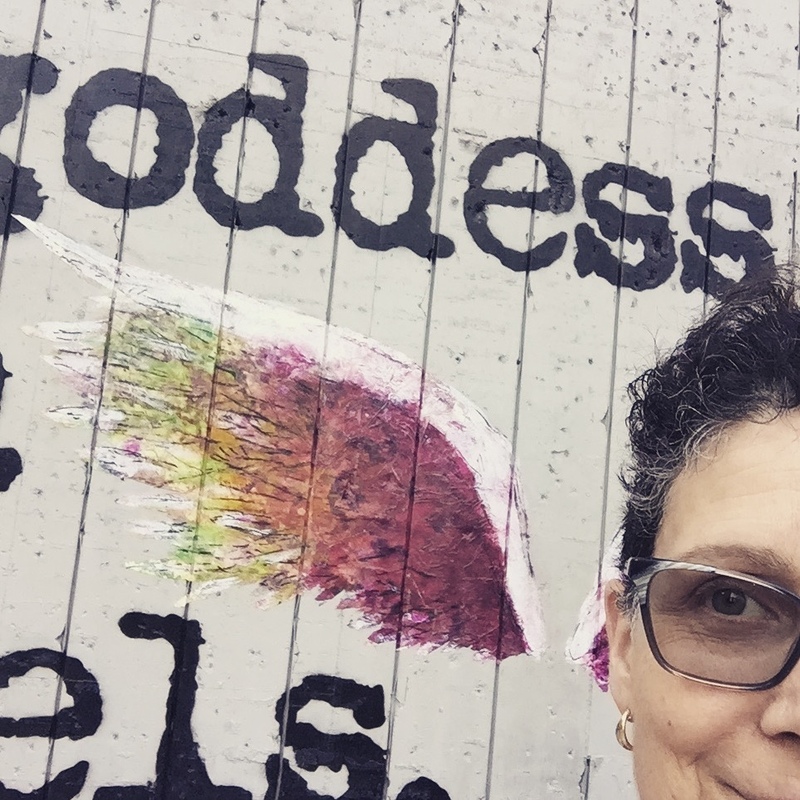 Thank you, Holly – I loved your piece, “Hither and Yon” on your blog ABodyStory and know that you know a bit about these things I’ve written about. It’s all part of the lovely anguish of being human. Your writing is so strong – gives one something to aim for! such a beautifully profound piece of writing, Els. Honest, heartbreaking, and still so positive and loving. Sending yet another virtual hug from myself and from all of us at 24th STreet Theatre. Thanks so much, Jay and Debbie. Els! Jimmie! Your experiences are breathtakingly chronicled in your blog. Thanks so much for making us feel like we’re there with you. Speaking of which: Randy and I will be in LA Dec. 25-30. If there’s a chance we could stop by for even just a few minutes to give a real hug (to you) and a mimed hug (to Jimmie), that would be just super. We’d love to see you and real hugs all around. Perhaps between 12/27 and 12/30? Call us when you get to town!